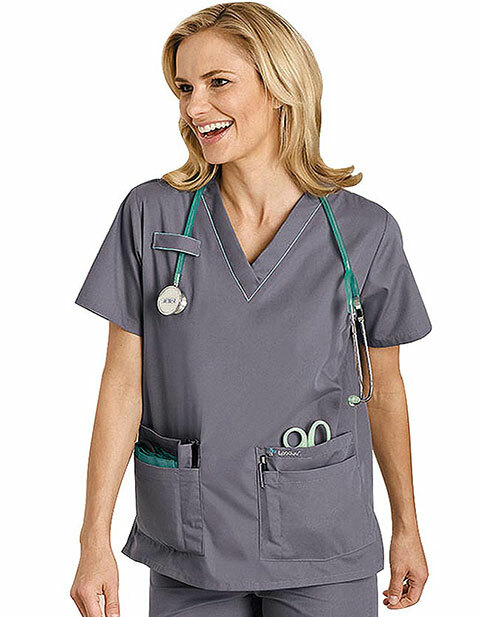 This Landau scrub top for women updates the style of 8219 with its piping detail. 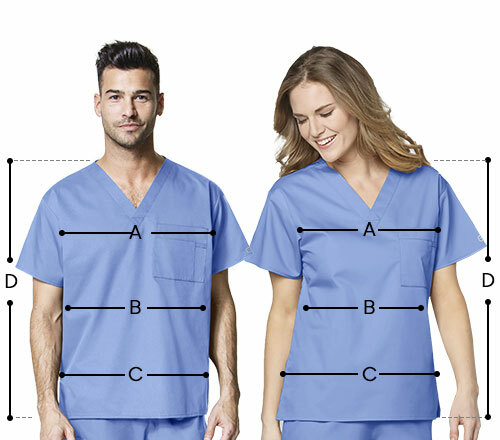 It has v-neckline with set-in sleeves that provide a cool and comfortable fit perfect for healthcare professionals who are always on the move. It features four-inch side vents for ease of movement at the hips, and four large pockets at the front with pencil division and scissor tape holder in the right pocket, where you can also store your important tools and personal items. The center back length is 27.25 inches, and the fabric is made of 65% polyester and 35% cotton.